The Unique Coffee Taste Experience! 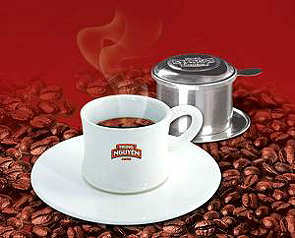 If you have never tried high-quality Vietnamese coffee, you are in for a revelation! Grown in the perfect conditions of the central highlands of Vietnam, Trung Nguyên, Vietnam's premier coffee company, offers an exciting range of top-quality coffee varietals and blends. each cultivated under ideal growing conditions and processed with care. All beans for TN's production come from contract growers, certified by EUREPGAP and Utz Kapeh for safe, sustainable coffee growing practice. Trung Nguyen coffees are grown on smaller farms using traditional sun-drying methods and natural processing. This cultivation supports thriving villages where growers work under contract futures with guaranteed pricing for their beans.The coffee is processed, roasted, blended, ground and packed in the BMT region of Vietnam, supporting the local economy.